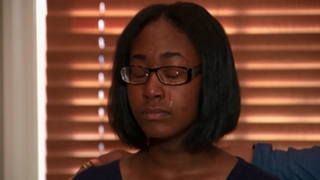 A Georgia high school student was reduced to tears during a recent interview after recalling what she says her teacher said to her in front of her entire class. Shaniaya’s mom, Cathy Wright, reported the incident to the school district but was dissatisfied with the response. She said that she doesn’t know if the teacher was ever disciplined, but added that he still teaches at the school. Attorney Ben Windham took the case pro bono after learning of the incident. “This man does not need to be teaching young children. It's not a gray area. End of story,” Windham said. WSB-TV contacted Greene County Schools to find out if any action had been taken against the teacher. According to the news station, the school district would respond only by saying that there were limits to what it could say publicly. Wright assured her sobbing daughter that the fight was not over.